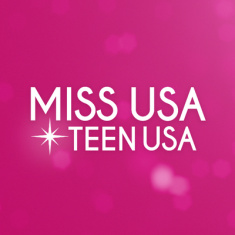 QUICK JUMP: Contestants Pageant Information How to compete in Miss USA & Teen USA 1998? Hirsch Memorial Coliseum, Shreveport, Louisiana on August 17, 1998. Vanessa Minnillo won Miss Congeniality. Nicole Broderick won Miss Photogenic. Susie Castillo won Style Award. Vanessa Minnillo won Best Swimsuit. The Miss USA 1998 pageant ended with Shawnae Jebbia winning the title of Miss USA 1998 and getting the opportunity to advance to the Miss Universe 1998 pageant! Vera Morris who won Miss Congeniality. Sonja Glenn who won Miss Photogenic. Shawnae Jebbia who won Best in Swimsuit. Meredith Blankenship who won the Style Award.